Watch all of your favourite Arabic channels, including; arabic drama channels, arabic news channels, arabic sports channels, arabic movie channels, arabic series channels, arabic religion channels (islamic and christian channels available), arabic kids channels, arabic music channels + so much more. (Please watch the video below which is a review of the BeamARABIA Arabic Channels). Over 400+ Arabic Channels using UFCC & Freeze-less Technology. Unified Fast Channel Change (UFCC) allows the BeamArabia Arabic IPTV Box to operate like a standard TV. Change channels using the up and down buttons on the remote control, for simple and ease of use. Automatic OTA Updates – (channels will be updated automatically on your system on a regular basis). Below is a Channel list / Guide. Please note, the list is over 1 year old. We have added some new channels, and some may have been removed. Watch all Arabic TV channels in Australia AND worldwide (the beamarabia box will work in any country in the world, as long as you have a stable internet connection): syrian channels, iraqi channels, lebanese channels, egyptian channels, saudia arabian channels, uae channels, jordanian channels + more. BeamARABIA is shipped directly from Melbourne, Australia. We ship WORLDWIDE! 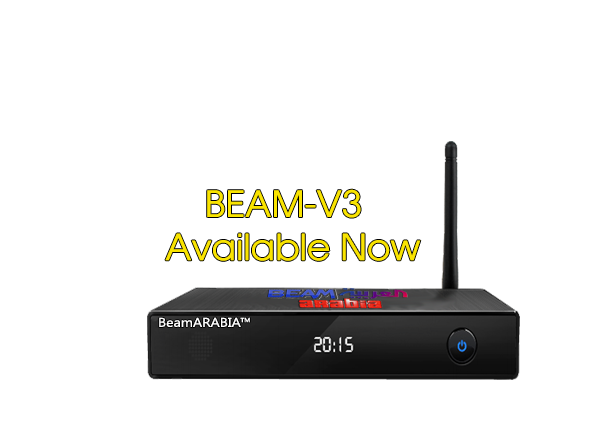 When comparing the BeamARABIA Arabic IPTV Box to our competitors such as ZaapTV and TVArabia we found that our device offers you so much more, and costs you less! Enjoy watching Arabic Channels seamlessly with no monthly payments. The device comes with 2 years FREE activation! Change the channels using the up and down arrow keys on the remote like a normal TV, or flick through our channel icons list, whatever is easier for you! Plus add your favourite channels to the favourites list for easy access + many more features.